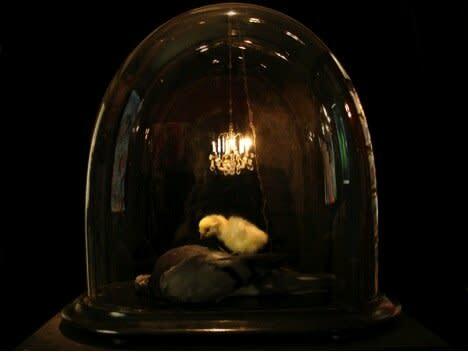 Polly Morgan is a British artist born in Banbury, Oxfordshire in 1980. She studied English Literature at London University and lived in East London. In East London she was surrounded by many of the prominent YBA's and inspired by their work, she took up taxidermy and began making sculptural pieces in 2004. Her work has gained attention from many notable collectors and curators and her works are in prominent private collections all over the world.